Gladys West #WHM18 #WomensHistoryMonth #WomenInSTEM « Adafruit Industries – Makers, hackers, artists, designers and engineers! 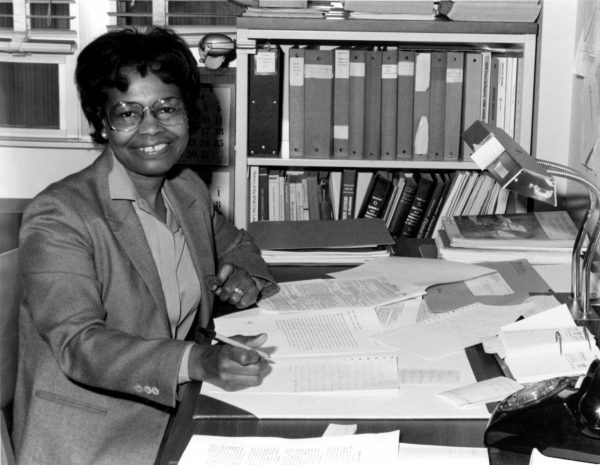 Gladys West’s math skills were important in the development of the GPS. For 42 years, mathematician Gladys West worked at the naval base in Dahlgren, Virginia, as part of the team that developed the Global Positioning System (GPS) in the 1950s and 1960s, according to the Stamford Advocate. Most people didn’t know of the 87-year-old’s barrier-breaking achievements. West’s work is becoming better known thanks to Gwen James. James learned of West’s work while at an Alpha Kappa Alpha sorority function, where a line in West’s bio mentioned her calculations helped create the GPS. The two had been friends for 15 years, and the news shocked James to learn her sister had a hand in creating something so historic.